The drive is among the highest capacity available today. The increased storage in 5big comes thanks to new 5TB hard drives in five storage bays. The 5big is priced at US$2,499 on LaCie's website. The 5TB drive is also among the highest-capacity drives available. It is topped by HGST's 6TB Ultrastar He6 drive, which created waves when it started shipping in November. Most hard drives in PCs today top out at 3TB, though 4TB internal drives are also available. The total capacity of 25TB in 5big is among the highest available in a RAID drive with the same number of bays. RAID drives typically have multiple storage units in one box, and are also used for network storage. The drive connects to PCs or Macs through a Thunderbolt connector. The drive is able to transfer data at speeds of up to 785MB per second, Lacie said. 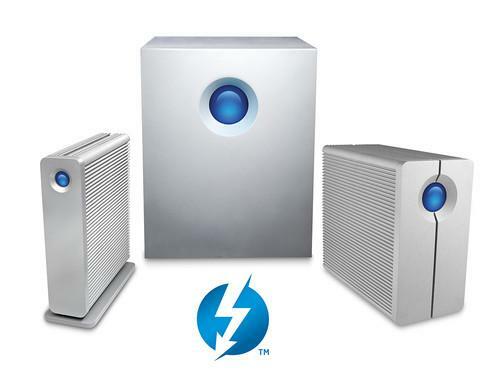 It could be used for heavy-duty multimedia tasks on computers like the Mac Pro, LaCie said. There will be a growing need for more storage with the emergence of 4K video, which carries a resolution of 3840 x 2160 pixels. The Mac Pro has ports for Thunderbolt 2, which can transfer data at a pace of 20G bits per second.